To find your Rolex's serial number, you must remove the watchband on the bottom half of the watch. The serial number is located at the 6 o'clock position, where the watchband meets the watchcase. Removing the band is an easy process, but be careful not to scratch the case or band when performing these steps. The serial number tells you when your Rolex was made. 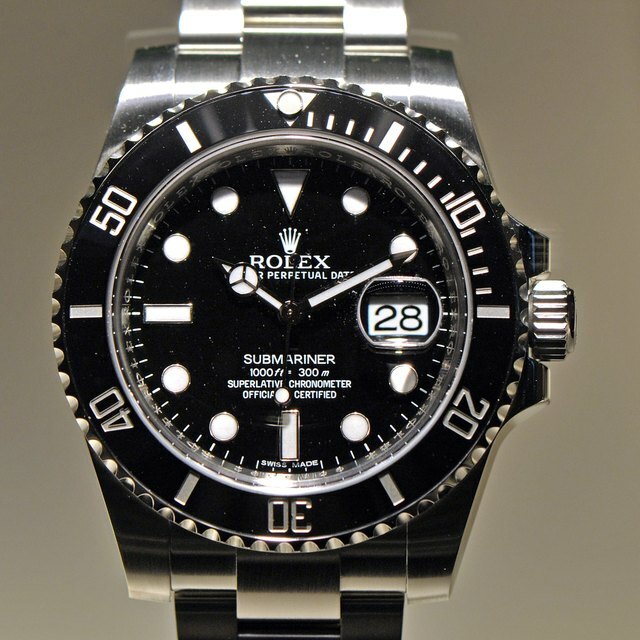 Also, identifying the serial number is one way to tell if a Rolex is real or counterfeit. Look at the side of your watchcase. On the watchcase lugs, located where the watch bracelet is attached, you may see one small hole on each lug where the spring bar is located. This means your Rolex has the traditional pierced lug style. If your Rolex does not have the pierced lug style, turn the watch over, and look for the long spring bar in the space where the bracelet meets the watchcase. The spring bar attaches the bracelet to the watchcase. The directions for removing the spring bar on both watch styles is slightly different. Use your thumb to press down on the link where the band meets the watchcase if your Rolex has the pierced lug style. If your Rolex does not have pierced lugs, turn the Rolex over, and press down on the link where the band meets the case. Either way, you are applying gentle pressure to the same link, just different sides of it. Remember, you are only removing the side of the band at the bottom of the watch, so press on the link below the 6. Maintain gentle pressure on the link while performing the next step. Insert the tip of your spring bar tool into the lug holes, and push the spring bar inward. When done correctly, you will feel the spring bar fall into the case, rather than pop back out. Repeat this step on the other side of the spring bar. For a nonpierced lug watch, place the tip of your spring bar tool on one edge of the spring bar, and push inward, until the spring bar falls into the case. Repeat this step on the other side of the spring bar. Pull the band gently away from the watchcase. It should remove easily. You can now see the serial number on the watchcase. How Do I Adjust the Band Size of a Deployment Clasp Style Watch Band?